This is mosquito season, and along with that comes cases of West Nile Virus. A red-tailed hawk from Steuben County is the first avian case of 2018. This first case is later than last year but about average compared to previous years (see historical info below). The bird was found down and was taken to the Janet L. Swanson Wildlife Health Center for assessment. Blood was submitted to CWHL for testing and returned positive WNV results late last week. The bird is alive and receiving supportive care at the clinic. Raptors and crows are particularly sensitive to West Nile infections, and crows have a high mortality rate. Other species may have mild or no symptoms from infection. New York City has recently reported a human West Nile case and a number of positive mosquito pools. No human cases have been reported from the rest of the state, and mosquito surveillance is up to the individual counties, many of which don't conduct mosquito pool testing. 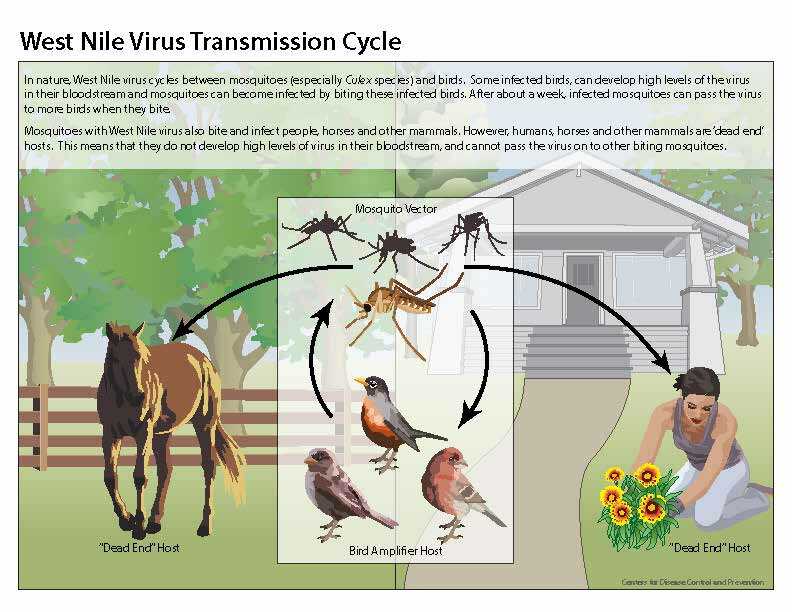 However, West Nile is presumed to be widely active around New York during the summer and fall. In 2017, the CWHL reported a marked increase in WNV positive results over previous years. Our data collection is being used to study how and why these year to year fluctuations occur. Environmental factors like winter temperature, rainfall amounts and timing, and the mosquito species that are active all affect the prevalence rates.